After years of following a ketogenic, paleo-friendly diet, I have been able to experience some of the great health and weight loss benefits of eating real food low in carbs. Don't get me wrong, there are exceptional people who do well on a high-carb diet but most of us benefit from a low to moderate carbohydrate diet. As I always say, it's not just about the carbs in foods you eat - food quality matters equally. I've never been overweight and have always been very active but I still found it quite difficult to maintain a healthy weight. Long time before I embarked on a paleo-friendly ketogenic diet, I've been experimenting with fad diets including calorie-restricted, vegan and even juice-based diets. Such unhealthy dieting made my body sick and left me with damaged metabolism and under-active thyroid. As I soon discovered, healthy low-carb is likely the only sustainable way of eating while keeping my body healthy and the scales down. I still remember how difficult it was for me when I started eating LCHF, as I didn't know anything about real food. I was often lacking motivation and saw it as a rather time-consuming way of living. If I knew about Natural Ketosis years ago, it would definitely make my life easier. Natural Ketosis, started by Hannah Sutter, is a UK food delivery service that is unlike any other. Their meals are low in carbs and free of artificial additives. 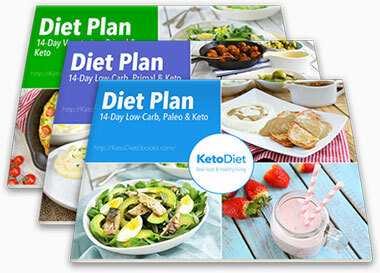 Unlike other diet plans, their aim is to kick-start your diet and teach you about real food and long-term weight loss. Meals are delicious and taste like home-made. If you find your favourites, you can opt for meals you like most. Meals are LCHF and sating: low in carbs, moderate in protein and high in healthy fats that will keep your blood sugar down and hunger at bay. Custom-fit diet plan. Each diet plan is created individually based on client's needs and preferences. Unlike other diet plans, this one is not a "one-size-fits-all". Meals contain only natural ingredients, no artificial sweeteners or additives and all of them are displayed on the labels. Thanks to natural ways of preservation (pressure cooking & vacuum sealing), meals have long shelf life. Some flexibility for people with allergies. You can opt for soy, gluten, dairy, corn and legume free meals. Suggestions for side dishes that go best with each of the meals are displayed on the labels. Great for busy people like me. It takes a second to prepare and even the sides are quick. Meals are portable. You can prepare the side at home and place in a container. Then, you simply reheat and add the meat and sauce to it. Great even for complete beginners. A beginner's guide is included with suggestions for side dishes and portion sizes, snacking suggestions. It also includes basic information about the ketogenic diet, restaurant suggestions and troubleshooting. More information and support on their website with qualified advice from health professionals who are familiar with LCHF diet. Good value for money for the whole diet plan (£7-£9 a day which depends on individual needs) and delivered all over the UK. Long-term weight loss solution, not a short-term fix. 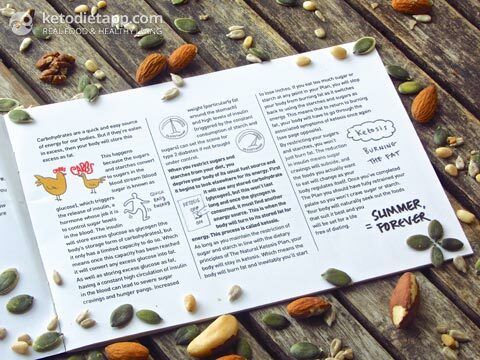 Natural Ketosis helps people kick-start their diet and teach them about real food long-term weight loss. More paleo-friendly options. I would like to see more gluten-free, corn-free, soy-free, etc. meals, especially more breakfast options for those with allergies or following the paleo diet. Detailed nutrition facts per serving on all packages. Although the nutrition facts per 100 grams can be found here, it would be very convenient to have them on each package per serving. Those like me, who use a tracking app like the KetoDiet iPad app will find it very useful. This will also help many people, who reach a weight loss plateau, and need to track and adjust their macronutrient intake (carbs, protein & fat). In fact, it can be frustrating to get the results you want without proper macronutrient tracking. Here are just some of the many delicious meals I've tried. I calculated the net carbs per serving for main meals (250 gram packages) and soups (300 gram packages). All sides are mostly based on the recommendations of Natural Ketosis, including the recommended amounts. The full list of foods and complete nutrition data are available here. 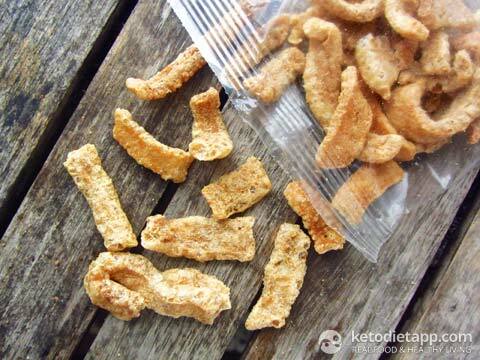 My favourite meals: Tex Mex Soup, anything with meatballs, beef dishes and Pork Curls (cracklings). 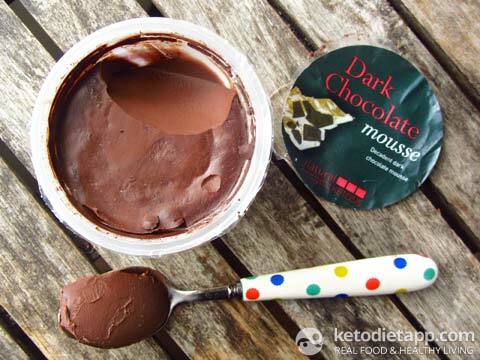 Dark Chocolate Mousse is just a heavenly dessert! 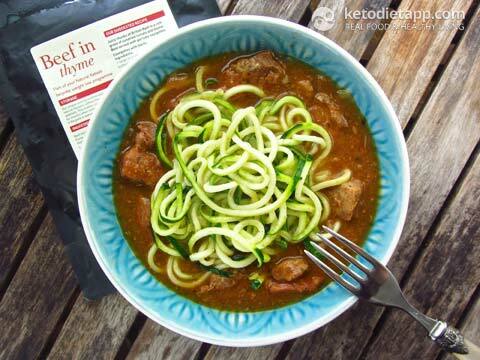 Beef in Thyme Gravy (4 g net carbs per serving) + zucchini noodles (here is how to make "zoodles"). 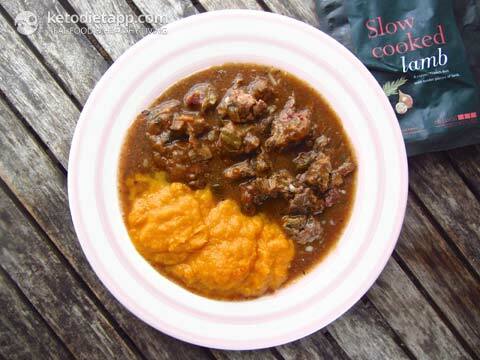 Slow Cooked Lamb (10.3 g net carbs per serving) + mashed pumpkin with grass-fed butter (here is how to make pumpkin purée). 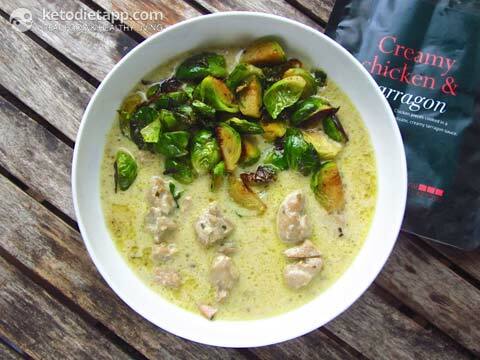 Creamy Chicken & Tarragon (8 g net carbs per serving) + butter-roasted Brussels sprouts. 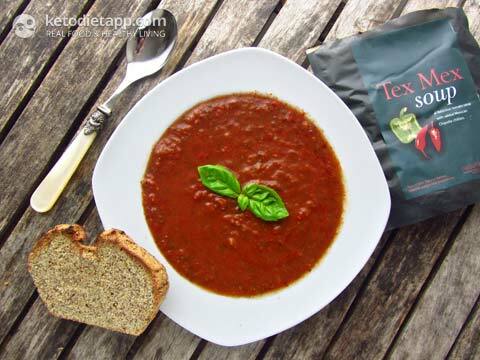 Tex Mex Soup (6.3 g net carbs per serving) + slice of Ben's Low-carb "rye" bread. 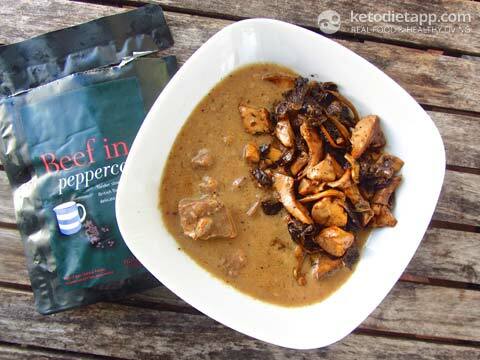 Beef in Peppercorn Sauce (6.3 g net carbs per serving) + butter-roasted wild mushrooms. Pork Milanese (11 g net carbs) + mixed green salad with Herb Vinaigrette (0.5 g net carbs). 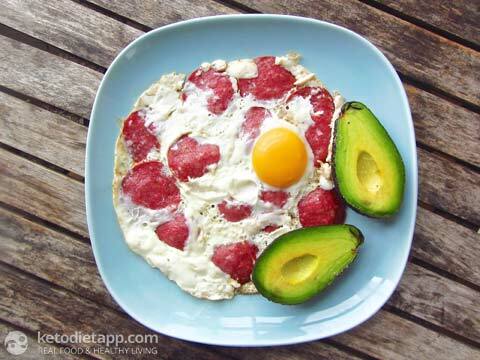 Fried eggs with Pepperoni (<1 g net carbs per package of pepperoni). I made this meal for breakfast. First, I placed the pepperoni on a heavy-based pan. I had some leftover egg whites from making my home-made mayonnaise, so I added one whole egg and fried them with the pepperoni. I served it with an avocado. 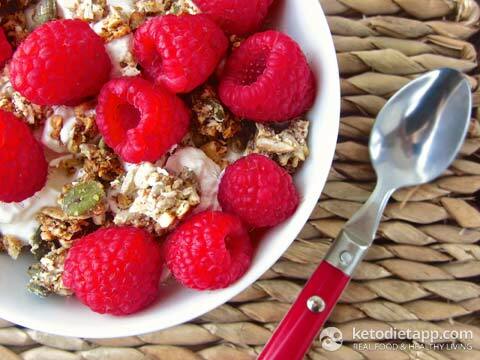 Seed & Nut Granola (4.5 g net carbs per serving) + full-fat greek yogurt + raspberries. The granola contains oats which I don't usually eat. Smokey Bacon Crunch, Cheese & Onion Curls and Salt & Vinegar curls (<1 gram net carbs per serving). Belgian (Dark) Chocolate Mousse (7.5 g net carbs per serving). Overall, I was pleasantly surprised of the food quality, taste and affordable price. I would definitely recommend Natural Ketosis to anyone who decides to follow a low-carb diet and either have no time to cook or don't quite know what to eat. Firstly, you will lose weight and improve your health. Additionally, you'll learn about real food, what you should be eating and what to avoid. I would love to see more paleo-friendly meals in the Natural Ketosis plan, especially for breakfast and deserts. If you want to learn more about this diet plan and more about nutritional ketosis, please, visit Natural Ketosis. "With regards to expansion to other countries like the US, this is certainly on our agenda. However, we do deliver to customers all over the world, the only catch is that they would have to meet the extra cost of delivery. If they are unsure, all they have to do is either call us on our freephone number (0800 862 0099) or else send an email to info@naturalketosis.co.uk and we'll be more than happy to see if we can help." Disclaimer: All meals for the 14-day diet plan have been provided to me for free by Natural Ketosis as a free sample. This has not influenced my review in any way and at the time of posting I was not affiliated with Natural Ketosis. The opinions expressed in this post are my own. 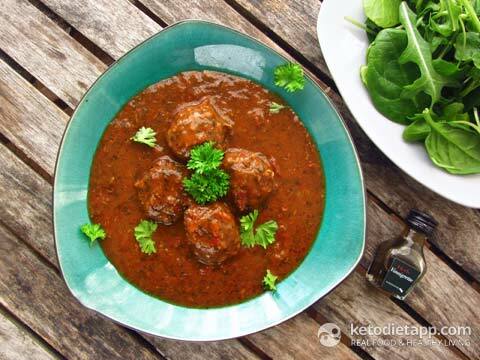 Update: We teamed up with Natural Ketosis and hand-picked the best meals for you! You can learn more about it here. Wow! The first Keto delivery service I've ever encountered. I didn't think such thing existed! I would love to review this on my blog for all my UK viewers. This seems so fantastic. Hi Linda, it is! I think Natural Ketosis also ship abroad and I'm sure they will tell you if you drop them a line. The chocolate mousse looks just DELISH! I'd love to see these in the US. Thanks for this great app. 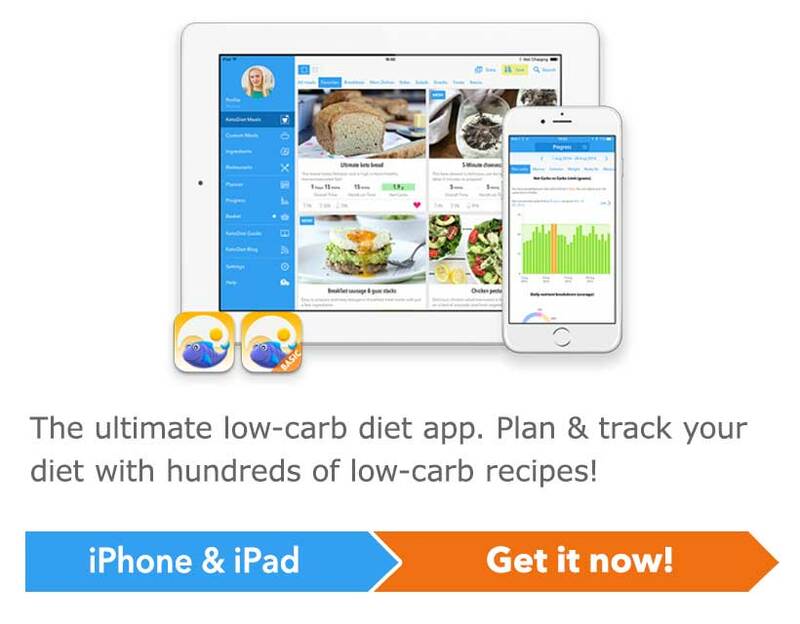 I have been trying to gain success with low carb for three years and at last the Ketodiet app is the answer! It is so easy to use and the recipes are not only easy to follow but have easy to find ingredients - thank you, as for the first time in 30 years of yo yo dieting I think I have truly found the answer!!! Thank you Patti, your words mean a lot to me. Good luck with your diet! Great review Martina! Thanks for all the details, the meals look really delicious! How long are the diet plans made for? Thanks Jenny! 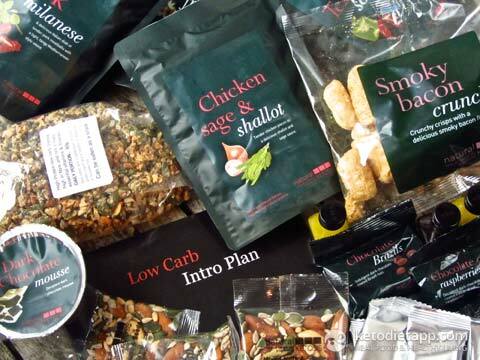 This is the good thing about their products - the diet plans are completely custom-fit to your needs. It could be for a month but also 3 months. Their aim is to also show people what to eat and avoid, so they are not always depended on their products. Ketones and Weight Loss: Do Ketone Levels Matter?